A business without an online presence is tantamount to an individual without a personal identity. The cyber world is a gigantic marketing arena of consumers searching for and collecting essential information as a way of validating the existence of a business both onsite and offsite. The internet is a great avenue to market products and services to valuable potential consumers who use the internet to purchase various products. 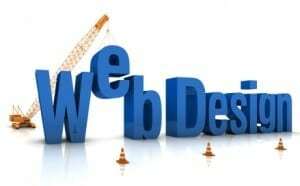 Having a quality Houston web design can make a company available 24/7 to billions of online users. When planning to create an online presence, it is important to understand how to start building a website. Consider the steps listed below prior to creating that cybernet existence. The first step when planning for an Houston web design is the registration of a unique domain name. Basically, this is the permanent address of a website, such as friendster.com, twitter.com, foursquare.com, etc. Selection is important as it will direct all online activities and must be easy to remember. All domain names must be registered, which can be done either independently or by using a hosting company who can handle this step. Yearly registration of a single domain name ranges from $10 to $100 a year depending on the chosen method of registry. The only difference between such offered services is looking for one that provides excellent customer service and support. Some hosting and design companies offer free registration as part of a website package that has been purchased and will be hosted with that service. When building a website, select a reputable web hosting company that can deliver excellent, secure, and reliable regular service. Always ask for the total amount of available bandwidth, number of emails if provided, support for IMAP and POP, data backup capability, monthly fees, online protection, and customer support. There are important legal issues that must be understood such as internet copyrighted infringement and linking to copyrighted pages without proper acknowledgment of the originator. A common linking issue is making false statement with the intention to destroy the reputation of an institution or organization. Another legal issue is the trademark infringement where one company uses the brand of another organization to generate mislead consumers. Understand all the legalities surrounding a website to avoid future costly legal issues. The internet is a wonderful way to look for the latest business marketing methods – and an online presence can be a lucrative way to increase sales, return of investment, and net profit. So every company whether large or small should have a website to promote and present a brand and stay ahead of the competition. Before actually creating a website, it is imperative to understand the importance of registering a unique domain name, searching for a good internet provider, and knowing the legal issues involved with a website. Knowing all these can help realize great Houston web design that is effective in promoting any business in the internet market! Web Unlimited Leads the Way With Outstanding Houston Web Design! Do you need to find a great Houston web design firm? Call Web Unlimited at 979-696-2500 for help from the experts who can create an outstanding and product website for you!